Flatiron is a steak place in Davidson, NC that we decided to try over the summer. Such high hopes, because I love the town of Davidson. Ultimately, this place just didn’t deliver. While there were some high points to our meal, mostly our experience ranged from not great to not really memorable. We tried the Calamari Fries for an appetizer. Ours came with a side dish of marinara sauce. 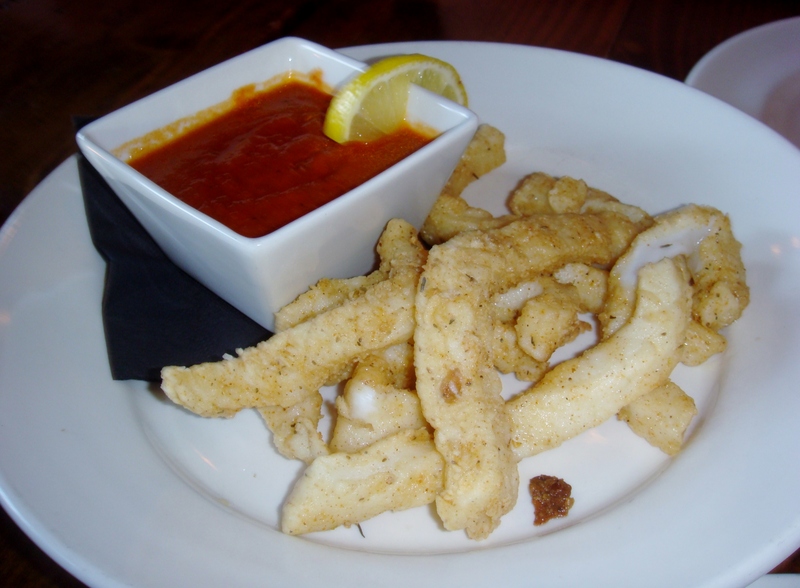 The calamari was tender, but the large mouthful of tender, almost flabby planks of squid actually put me off. I prefer the rings, fried a little crispier. I would definitely not get these again. 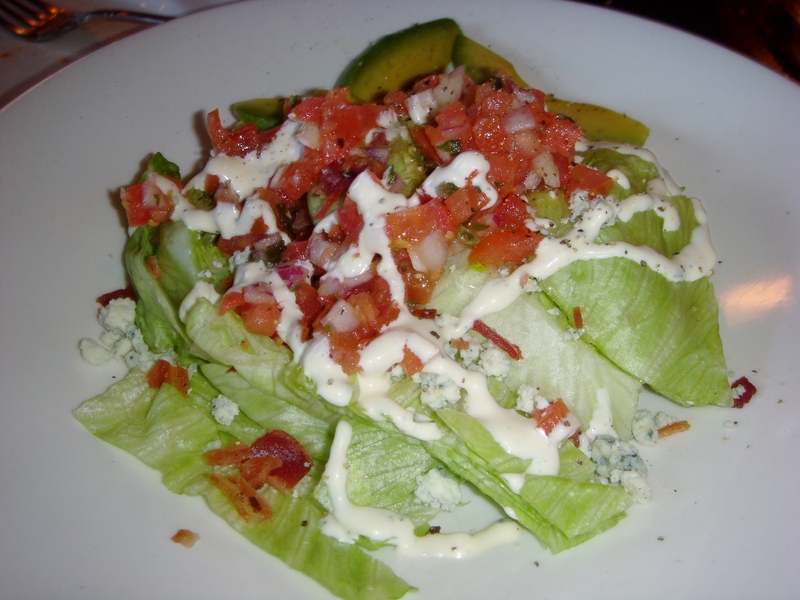 One of the better dishes was the Wedge Salad. Hard to mess those up, but this one was exceptional with bacon, diced tomatoes, Gorgonzola cheese, red onion and topped with a yummy Buttermilk Ranch dressing. Also, they served it a bit chopped and not in the traditional wedge shape, so it was much easier to cut. Loved it! Another pretty awesome dish is the Goat Cheese Bake. 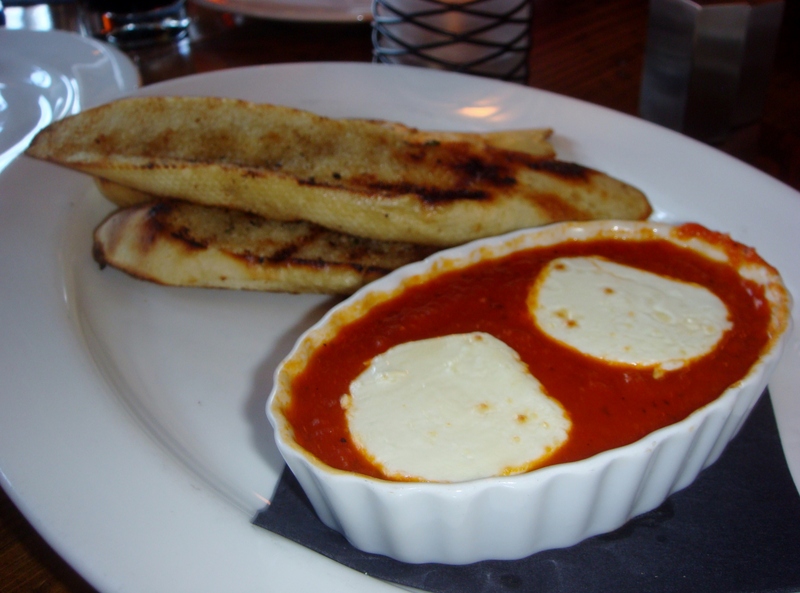 They plop some goat cheese in a dish of marinara, bake it and serve with toast. Simple and utterly delicious. 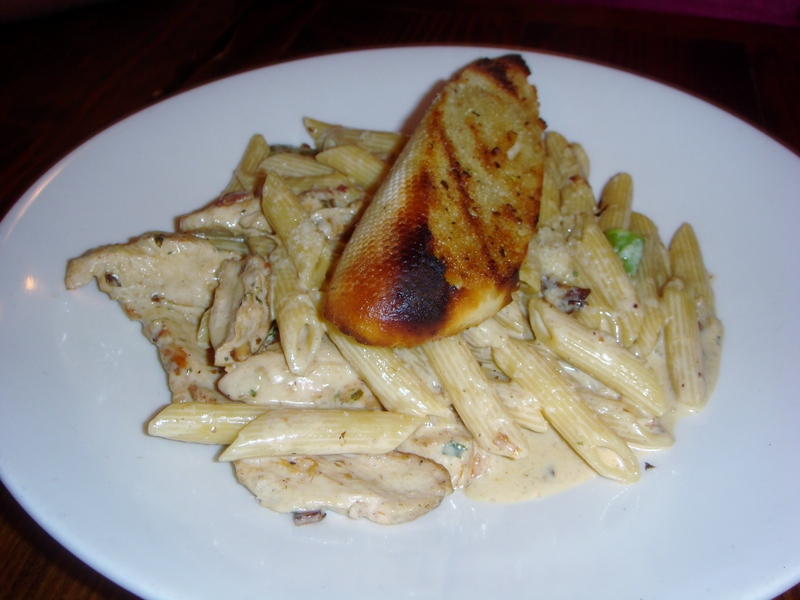 The Chicken Fettuccine Pasta dish was very good. The chicken was tender, the sauce was flavorful. The grilled bread atop was a nice touch. The Filet Mignon was also a good dish. It was cooked well, but the sauce was a little tangy. 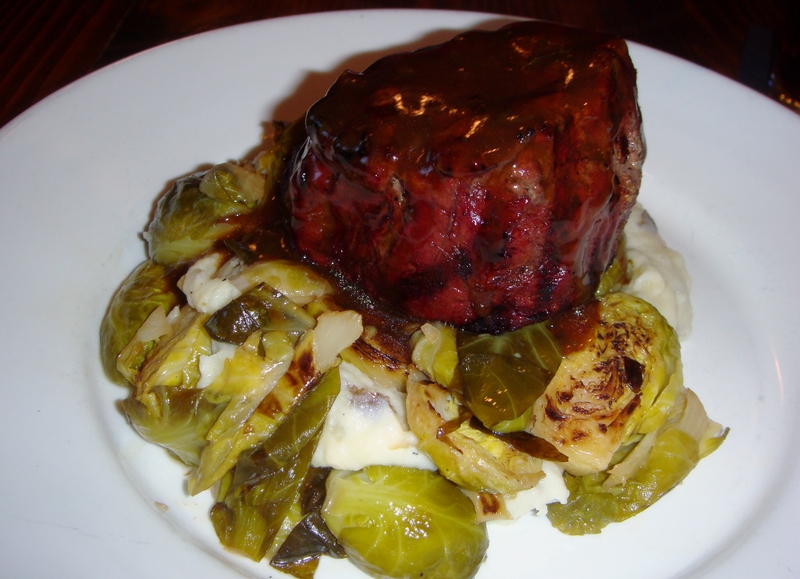 I loved the brussels sprouts with the charred edges and the potato puree was creamy and seasoned well. 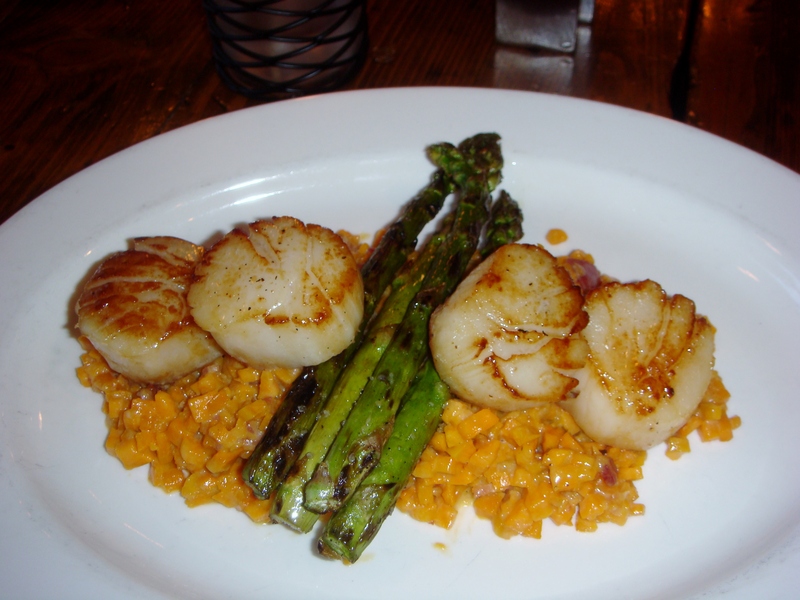 The Seared Scallops were just fine. They did have a nice sear, but were not seasoned as well as we’d like. The sweet potato risotto that they were atop was delicious. The grilled asparagus were nicely cooked. The dish was fine, but not particularly memorable. For dessert, they had quite a few offerings. 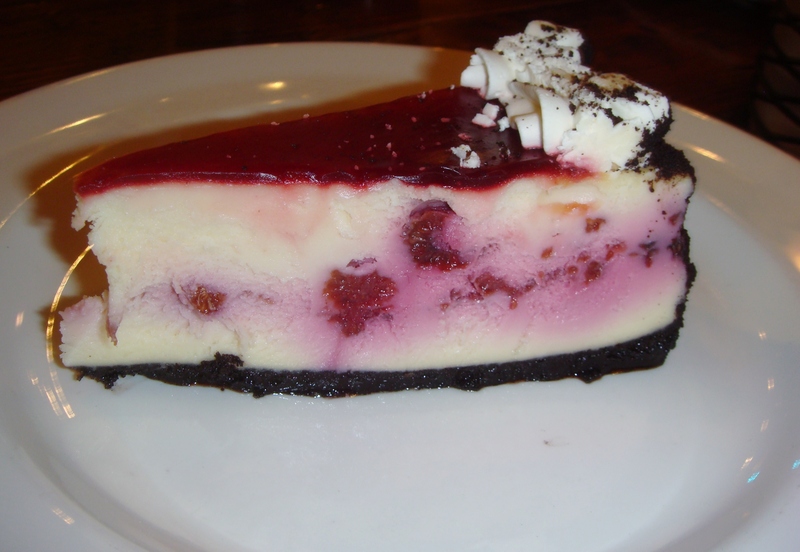 The Raspberry Cheesecake was probably the best thing our table sampled. It was just sweet enough and very creamy. 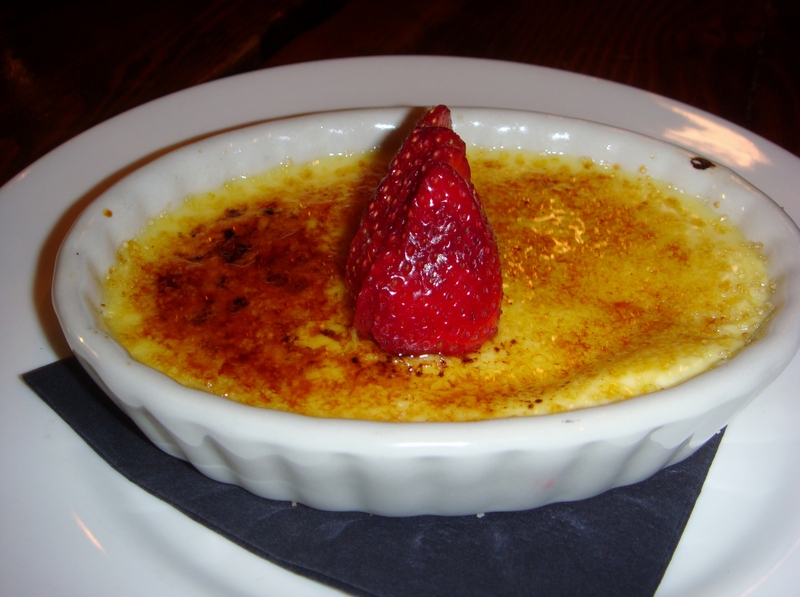 The Creme Brulee is always a winner, and rarely have I had a bad one, this one was no disappointment. 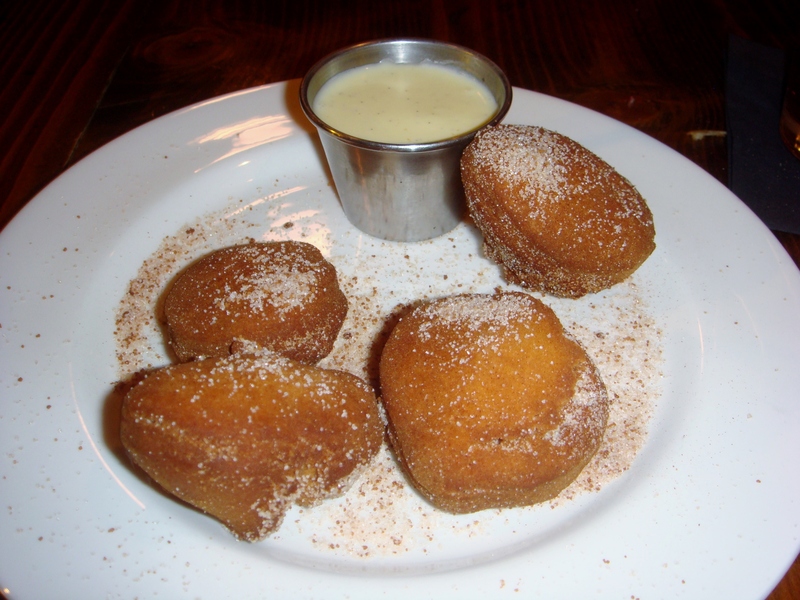 The one dessert we sampled that was just inedible were the Hot Now Donuts. They were like sugar coated bricks. They are served in a paper bag, which is the best thing about them. Maybe they were off that night, but I found them heavy and tough. Never again.